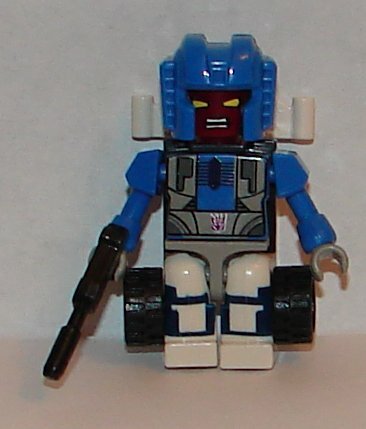 Motormaster (now known as Motorbreath) looks pretty good in vehicle mode. 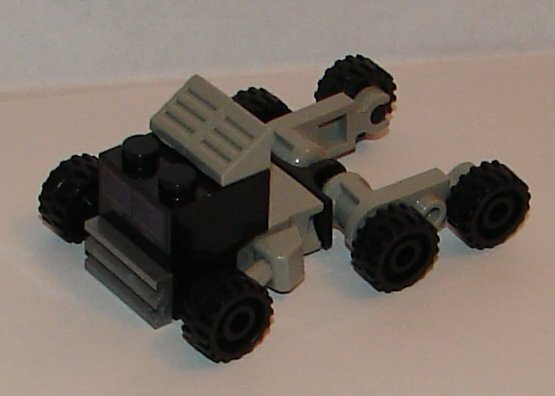 It’s hard to do a truck cab in Kre-O, but it’s the best they can do. He looks really great in robot mode. 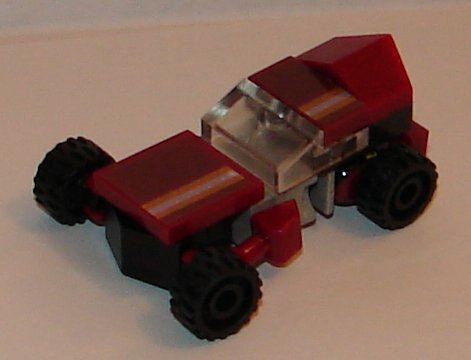 I love Dragstrip’s vehicle mode, one of my favorite vehicles in the line. He’s got great torso art in robot mode. 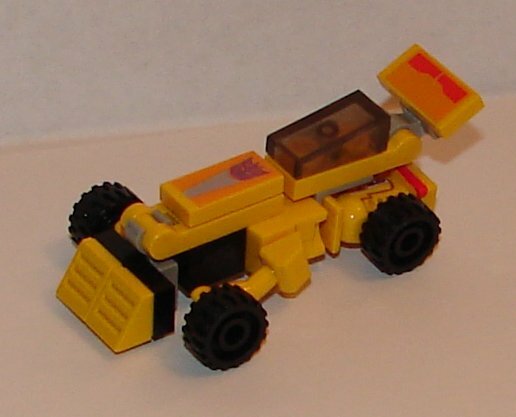 Dead End’s vehicle mode is okay, but it’s nowhere near as nice as Dragstrip. It might look better if there had been a sticker on the rear portion of the car. 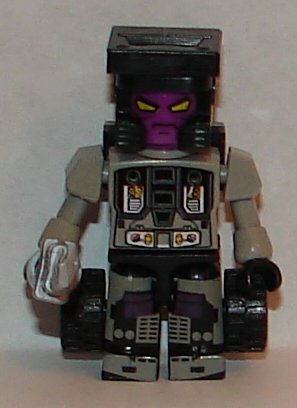 Robot mode is nice, they did a great job painting and not covering up all the torso art on the whole set. I really like Breakdown in both modes, but the spoiler looks too much like wings. Other than that he’s great. Menasor is pretty decent. 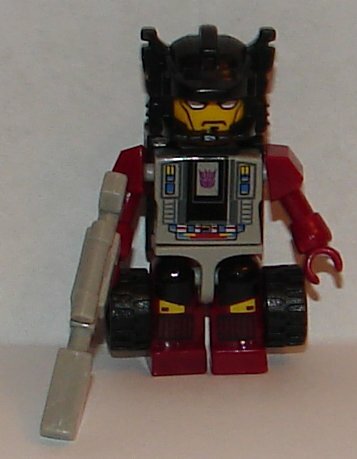 I’m not crazy about the clear pieces on his chest that shows the pegs beneath. I’d have also preferred they used a lighter color for his face, as it doesn’t stand out from the helmet very well. 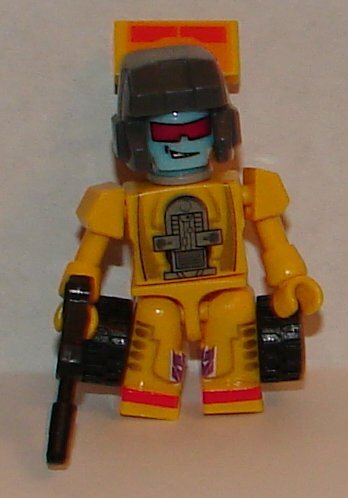 I still can’t believe how awful the stickers for Kre-O Micro-Change Combiners are. They use the clear labels on dark plastic, and you can hardly see the designs on them. It’s just basic logic that you can’t put these kind of stickers on dark plastic. The stupidity of it is mind boggling, even from Hasbro. The question now is, what’s next? 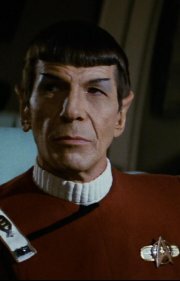 Toy Fair is coming up, so we should no soon. 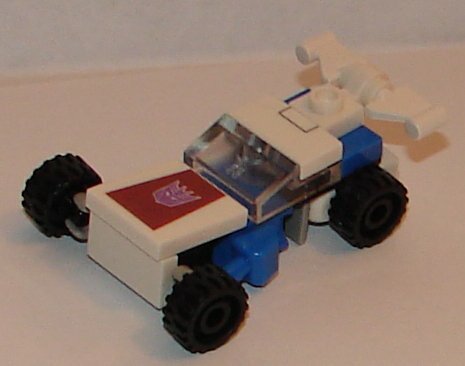 There certainly are other combiners they could do going forward. 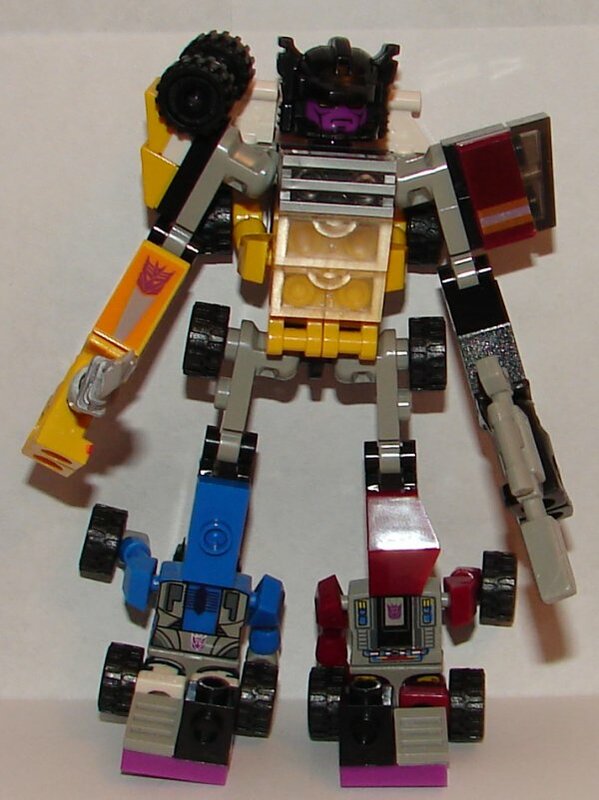 G2 versions of Devastator in orange and in yellow, Menasor, Superion, Defensor, and Bruticus would be great. They haven’t done Monstructor. They could, with a little artistic license, do the Beast Wars combiners Tripredacus and Magnaboss. So that’s nine giving the, three waves of three with one new mold and two recolors per wave. I’ve got my fingers crossed, but I’m not expecting it. 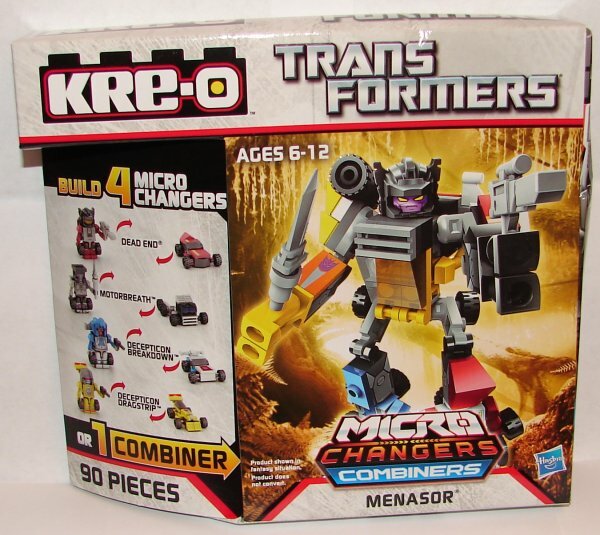 This entry was posted in Toy Reviews, Toys, Transformers and tagged Breakdown, Combiner, Combiners, Dead End, Dragstrip, Kre-O, Kre-O Micro-Changer, Kre-O Micro-Changers, Kreon, Kreons, Menasor, Micro-Changer, Micro-Changers, Motorbreath, Motormaster, Stunticons, Toys, Transformers. Bookmark the permalink.